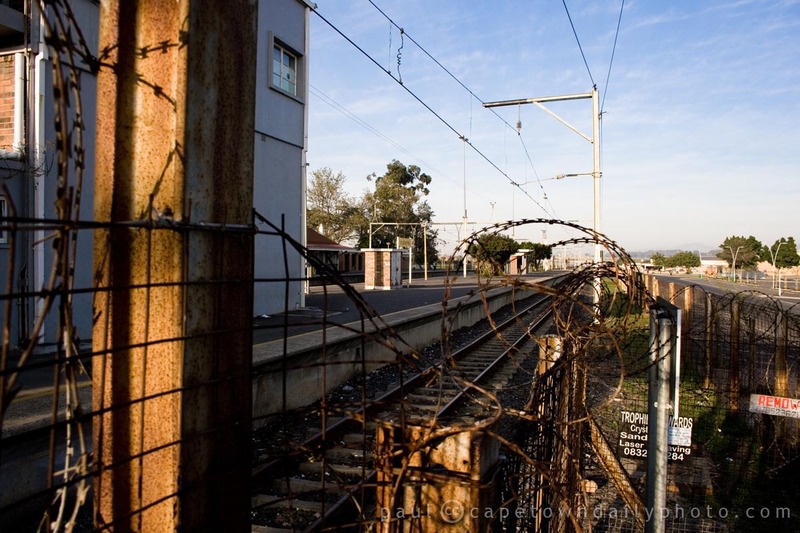 Posted in General and tagged station on Tuesday, 26 February, 2013 by Paul. I waited for the train to stop and for people to start disembarking. While I was down on one knee (not "down on one knee" like that though) the guy to the left stepped out of the train onto the platform, keeping his eyes fixed on me all the while that the train stood still. I, of course, doggedly pretended not to see him. Posted in General and tagged people, person, station, train on Saturday, 21 August, 2010 by Paul. 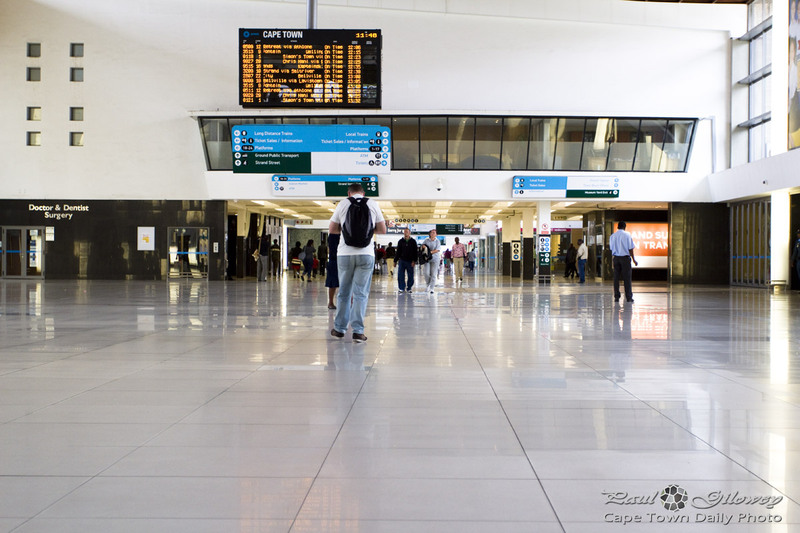 As I said in my first post about this train station - the journey from Brackenfell to Cape Town station is an extremely monotonous one when taken every day. I pitty the poor souls who travel from Wellington to Cape Town each day. 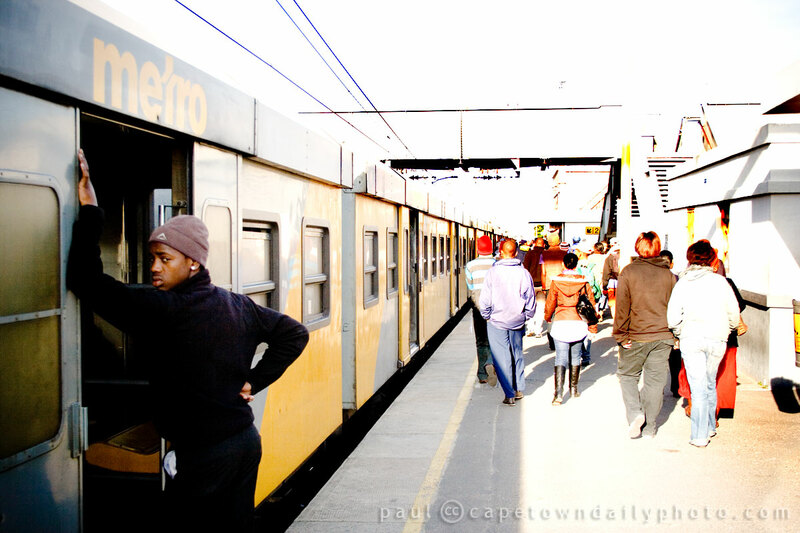 With the exception of one or two, rush hour trains (which I guess are the ones between 06h30-08h30 and 16h00-18h00) stop at every station along the way! Each time that they stop the doors open and, at this time of the year, in blasts cold winter weather like that which we're experiencing right now. Posted in General and tagged station, train on Tuesday, 17 August, 2010 by Paul. 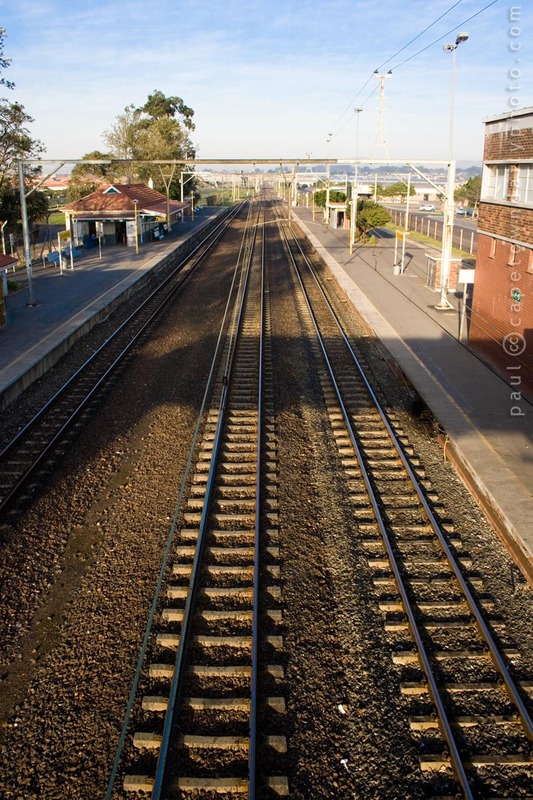 Continuing with my theme of train stations and tracks, this is a 180° turn from my previous photo, with the next stop in this direction being the small station of Eikenfontein (Ache-en-fawn-tain), followed by the next major station, Kraaifontein (Cry-fawn-tain). 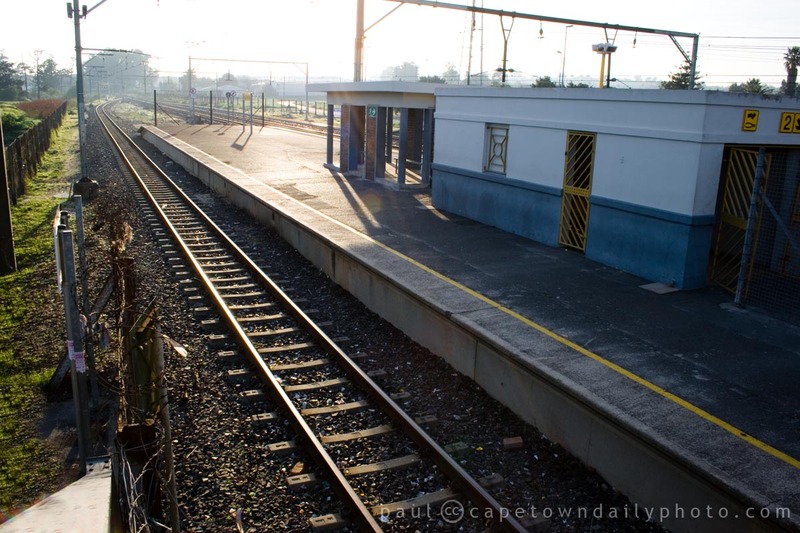 In case you're interested, here's a Metrorail route map. Posted in General and tagged station, train on Monday, 16 August, 2010 by Paul.